In the spring of 1841, when John Tyler was President, a Kentucky farmer named Solomon Young and his red-haired wife, Harriet Louisa Young, packed their belongings and with two small children started for the Far West. They had decided to stake their future on new land in the unseen, unfamiliar reaches of westernmost Missouri, which was then the "extreme frontier" of the United States. They were part of a large migration out of Kentucky that had begun nearly twenty years before, inspired by accounts of a "New Eden" in farthest Missouri -- by reports sent back by Daniel Morgan Boone, the son of Daniel Boone and by the fact that in 1821 Missouri had come into the Union as a slave state. The earliest settlers included families named Boggs, Dailey, and Adair, McCoy, McClelland, Chiles, Pitcher, and Gregg, and by 1827 they had founded a courthouse town called Independence, pleasantly situated on high ground in Jackson County, in what was often spoken of as the Blue River country. Those who came afterward, at the time of Solomon and Harriet Louisa Young, were named Hickman, Holmes, and Ford, Davenport, McPherson, Mann, Noland, and Nolan, Freeman, Truman, Peacock, Shank, Wallace, and Whitset, and they numbered in the hundreds. Nearly all were farmers, plain-mannered and plain-spoken, people with little formal education. Many of them were unlettered, even illiterate. They were not, however, poor or downtrodden, as sometimes pictured -- only by the material standards of later times could they be considered wanting -- and though none were wealthy, some, like red-haired Harriet Louisa, came from families of substantial means. She had said goodbye to a spacious Greek Revival house with wallpaper and milled woodwork, the Kentucky home of her elder brother and guardian, William Gregg, who owned numerous slaves and landholdings running to many hundreds of acres. The great majority of these people were of Scotch-Irish descent. They were Baptists and they were Democrats, and like Thomas Jefferson they believed that those who labored in the earth were the chosen people of God. They saw themselves as the true Americans. Their idol was Andrew Jackson, Old Hickory of Tennessee, "One-man-with-courage-makes-amajority" Jackson, the first President from west of the Alleghenies, who was of their own Scotch-Irish stock. It was for him that Jackson County had been named, and like him they could be tough, courageous, blunt, touchy, narrow-minded, intolerant, and quarrelsome. And obstinate. "Lord, grant that I may always be right, for Thou knowest I am hard to turn," was a line from an old Scotch-Irish prayer. With their Bibles, farm tools, and rifles, their potent corn whiskey, their black slaves, they brought from Kentucky a hidebound loathing for taxes, Roman Catholics, and eastern ways. Their trust was in the Lord and common sense. That they and their forebears had survived at all in backwoods Kentucky -- or earlier in upland Virginia and the Carolinas -- was due primarily to "good, hard sense," as they said, and no end of hard work. They were workers and they were loners, fiercely independent, fiercely loyal to their kind. And they were proudly prolific. David Dailey, recorded as the first man to break the prairie sod in Jackson County, came west with a wife and twelve sons, while Christopher Mann, who outlived everybody of that generation, had already produced with his Betsie seventeen sons and daughters and with a second marriage fathered eight more. (Years afterward, at age eighty-seven, this memorable Jackson County pioneer could claim he had never lost a tooth from decay and could still hold his breath for a minute and a half.) They believed in big families, they came from big families. Children were wealth for a farmer, as for a nation. President Tyler himself had eight children, and in another few years, at age fifty-four, following the death of his first wife, he would remarry and have seven more children, making a total of fifteen, a presidential record. Solomon Young, who was one of eleven children, and his wife Harriet Louisa, one of thirteen, were from Shelby County, Kentucky, east of Louisville. And so was Nancy Tyler Holmes, a widow with ten children, who made the journey west to Missouri three or four years later, about 1845, once her sons had established themselves in Jackson County. Carrying a sack of tea cakes and her late husband's beaver hat in a large leather hatbox, she traveled in the company of several slaves and her two youngest daughters, one of whom, Mary Jane Holmes, was secretly pining for a young man back in Shelby County named Anderson Truman. He was one of twelve children. If Solomon and Harriet Louisa Young were acquainted with any of the Holmes or Truman families by this time, there is no record of it. Nearly everyone made the expedition the same way, traveling the wilderness not by wagon or horseback but by steamboat. The route was down the winding Ohio River from Louisville, past Henderson and Paducah, to the confluence of the Mississippi at Cairo, then up the Mississippi to St. Louis. Changing boats at St. Louis, they headed west on the Missouri, the "Big Muddy," fighting the current for 457 miles, as far as the river's sudden, dramatic bend. There they went ashore at either of two miserable, mudbound little river settlements, Wayne City or Westport, which put them within a few miles of Independence, still the only town of consequence on the frontier. With the "terrible current" against them, the trip on the Missouri took a week. The shallow-draft boats were loaded so deep the water broke over the gunwales. Wagons and freight jammed the deck, cordwood for the engines, mules, horses, piles of saddles and harness, leaving passengers little room. (One side-wheel steamer of the era that sank in the river and was only recovered more than a century later, carried cargo that included everything from ax handles and rifles to school slates, doorknobs, whale oil lanterns, beeswax candles, 2,500 boots and shoes, and thousands of bright-colored beads and buttons intended for the Indian trade.) Day after day, the heavy, shadowed forest passed slowly by, broken only now and then by an open meadow or tiny settlement where a few lone figures stood waving from among the tree stumps. Some trees towering over the river banks measured six feet through. On summer mornings the early filtered light on the water could be magical. These were the years of the great Missouri River paintings by George Caleb Bingham. The river Bingham portrayed was the settlers' path. The distant steamer appearing through the sun-filled morning haze in his Boatmen on the Missouri, as an example, could be the Radnor, the Henry Bry or Winona, any of twenty-odd river packets that carried the Kentucky people. The only notable sign of civilization west of St. Louis was the state capitol on a bluff at Jefferson City, a white limestone affair, "very substantial in execution," within which was displayed a full-length portrait of Senator Thomas Hart Benton, Missouri's own thundering voice of westward expansion. The painting was said to have cost the unheard-of sum of $1,000. Besides those from Kentucky, the migration included families from Virginia, the Carolinas, and Tennessee, who, with the Kentuckians, made it a predominantly southern movement and so one of numerous slaveholders other than Nancy Tyler Holmes. Possibly, Solomon Young, too, brought slaves. In later years, it is known, he owned three or four -- a cook, a nursemaid, one or two farmhands -- which was about the usual number for those bound for Jackson County. They were farmers, not cotton planters, and for many, a slave was a mark of prosperity and social station. Still, the accumulative number of black men, women, and children traveling to the frontier was substantial. Incredibly, one Jabez Smith, a Virginia slave trader who set up business near Independence, is on record as having transported more than two hundred slaves. White, black, young and old, they crowded the upbound steamers in the company of hellfire preachers and cardsharps, or an occasional pallid easterner traveling west for his health. Old journals speak, too, of uniformed soldiers on their way to Fort Leavenworth, blanketed Kaw (or Kansas) Indians, French fur traders and mountainmen with their long hair and conspicuous buckskins -- a seemingly endless, infinitely colorful variety of humankind and costume. Nancy Tyler Holmes is said to have worn a white lace cap that concealed an ugly scar. As a child in Kentucky, during a Shawnee uprising, she allegedly saved herself by pretending to be dead, never moving or making a sound as she was being scalped. True or not, the story served long among her descendants as a measure of family grit. The feeling in surviving accounts is of noisy good company and wild scenery and of "history" as an immediate and entirely human experience. Lieutenant John Charles Fremont, the celebrated Path Finder, came up the river in 1842, on his first exploring expedition to the Rockies. (One traveler described Fremont's party as "healthy and full of fun and elasticity.., by no means a choir of Psalm-singers, nor Quakers. They ate, drank, talked, sang, played cards and smoked cigars when they pleased and as much as they pleased.") The following year, 1843, came john James Audubon. In the summer of 1846 a young historian from Boston, Francis Parkman, stood at the rail of theRadnor marveling at the immense brown sweep of the river, its treacherous snags and shifting sandbars. "The Missouri is constantly changing its course," Parkman was to write in The California and Oregon Trail, his classic account of the journey, "wearing away its banks on one side, while it forms new ones on the other. Its channel is continually shifting. Islands are formed, and then washed away, and while the old forests on one side are undermined and swept off, a young growth springs up from the new soil upon the other." It was "frightful," he noted, "to see the dead and broken trees, thick-set as a military abattis, firmly imbedded in the sand, and all pointing downstream, ready to impale any unhappy steamboat that at high water should pass over them." The landing near Independence was described approvingly as a "wild and enterprising region." It was also in that summer of 1846 that Anderson Truman came on from Kentucky, and, for some unexplained reason, on horseback, which was one of the few exceptional things ever recorded about Anderson Truman. Possibly he couldn't afford boat passage. Of this first Truman to reach Jackson County, there is not a great deal to be said. His full name was Anderson Shipp (or Shippe) Truman. His people were English and Scotch-Irish and farmers as far back as anyone knew. His father, William Truman, had come into Kentucky from Virginia about 1800 and reportedly served in the War of 1812. Andy, as he was called, grew up on the Truman farm near the tiny crossroads village of Christianburg, Kentucky. He was slight, gentle, soft-spoken, thirty years old, and without prospects. Nonetheless, Mary Jane Holmes, who was five years younger, had seen enough in him to defy her mother and marry him. On the pretext of visiting a married sister, she had returned to Kentucky earlier that summer and once there, announced her intentions. Her mother, the redoubtable Nancy Tyler Holmes, was horrified, as she let Mary Jane know in a letter from Missouri dated July 24, 1846 -- a letter dictated to another of her daughters, which suggests that Nancy Tyler Holmes may have been illiterate. Since hearing the news she had been unable to sleep or eat. "Mary are you the first daughter I have that has refused to take my advice?" What made Anderson Truman so unacceptable is unclear. An explanation given later was that Mother Holmes thought Mary Jane was "marrying down," since the Trumans had no slaves. The wedding took place in Kentucky in mid-August at the home of the married sister, a handsome red-brick house with white trim that still stands. Then Mary Jane's "Mr. Truman," as she would always refer to him, set off by horse for "the wild country" of Missouri, intending to stay only long enough to secure the blessing of his new mother-in-law. His first letter from Missouri reached Mary Jane a month later. To his amazement, he had been welcomed with open arms, her mother and sisters all hugging and kissing him, everybody laughing and crying at once. He was urged to stay and take up the frontier life. He could be happy anywhere, even in Missouri, he wrote to Mary Jane, if only she were with him. "As for myself I believed that I would be satisfied if you was out here...I believe I can live here if you are willing." She arrived by steamboat, and with her mother's blessing and the wedding gift of a Holmes slave named Hannah and her child, the young couple settled on a rented farm belonging to a prominent local figure, Johnston Lykins, a Baptist missionary (preacher and physician) who had come to the frontier originally to bring salvation to the Indians, but had lately turned to land speculation. He and others were in the throes of founding a new town on the Missouri's great bend, at the juncture of the Kansas River and the Missouri, this to be ambitiously named Kansas City. To such men the future was in towns and trade. They talked of geographic advantages plain to anyone who looked at a map. Here was the Missouri, the great "natural highway" downstream to St. Louis, and so to New Orleans, Louisville, or Pittsburgh. There, upstream, beyond the great bend, stretched all the Northwest and its immeasurable opportunities. Here also, importantly, began the overland trails to Santa Fe, California, and Oregon. Jackson County was the threshold, the jumping-off point, to an entire second America of dry grasslands reaching clear to the Rockies. In a newly published guidebook to the Santa Fe Trail called Commerce of the Prairies (1844), the author, Josiah Gregg of Jackson County, portrayed Independence as the port of embarkation for the "grand prairie ocean." In fact, Independence, "Queen City of the Trails," was the country's first western boomtown, and to newly arrived settlers, after long days on the river, it seemed a metropolis of stores, blacksmith sheds, wagon shops, of crowded streets and unceasing commotion. The crack of bullwhips split the air like rifle fire as wagon trains made up for Oregon. Mexican caravans from Santa Fe rolled in with still more wagons, pack mules, and hundreds of thousands of dollars in Mexican gold to be spent on American trade goods, The spring Solomon Young and his family arrived, one Santa Fe caravan of twenty-two wagons is reported to have brought $200,000 in gold specie. Like a seaport town Independence had a customshouse. "Mules, horses, and wagons at every corner," observed Francis Parkman. "Groups of hardy-looking men about the stores, and Santa Fe emigrant wagons standing in the fields around....Some of these ox-wagons contained large families of children, peeping under the covering." The permanent population of Independence by the 1840s was perhaps only seven hundred people, but on any spring day two or three thousand would be congregated in or about Jackson Square, at the center of which stood a trim red-brick courthouse with a fanlight over the door. Of the several public houses around the Square, the largest and best known, the two-story, brick Noland House, was acclaimed the westernmost hotel in America, offering accommodations for four hundred guests, provided no one minded sleeping two or three to a bed. The nearby wagon shops were the shipyards of the "prairie ocean" and no wagons supposedly were better suited for the rigors of a prairie crossing than those built by a free black man named Hiram Young, an enterprising manufacturer who, like nearly everyone involved with the feeding, housing, or outfitting of emigrants, was prospering handsomely. But it was land that the Kentucky people came for, the high, rolling, fertile open country of Jackson County, with its clear springs and two "considerable" rivers, the Little Blue and the Blue, both flowing out of Kansas Territory. Every essential was at hand -- limestone quarries, splendid blue-grass pastures very like those of Kentucky, and ample timber where the creeks and rivers ran. "To live in a region devoid of the familiar sight of timber seemed unendurable," reads one old chronicle, "and the average Kentuckian could not entertain the idea of founding a home away from the familiar forest trees." They counted hickory, ash, elm, sycamore, willow, poplar, cottonwood, and oak in three or four varieties. Walnut, the most prized, was the most abundant. Entire barns and houses were to be built of walnut. It was land beautiful to see, rising and falling in broad swells and giving way to long horizons. Prairie grass was "high and green." Wildflowers, wild herbs -- meadow rose, turtlehead, snakeroot, wolfberry, thimbleweed -- grew in fragrant profusion everywhere the prairie remained unbroken, and starting about ten miles south of Independence the country was nearly all still prairie. To cut through the sod with a plow took six to eight yoke of oxen. Horses wouldn't do. But beneath the crust, the dark prairie loam could be two to six feet deep. In places along the river bottoms, it was 20 feet deep. Josiah Gregg, the guidebook author, having seen all the country from the Missouri to the Rio Grande, declared that the "rich and beautiful uplands in the vicinity of Independence might well be denominated the 'garden spot' of the Far West." Much of the best land, it happens, was already under cultivation. Moreover, it had been violently contested when, a decade earlier, the "garden spot" had been the setting for what were politely referred to as the Mormon Difficulties. In 1831, only a few years after the founding of Independence, a small, advance party of the Church of Jesus Christ of Latter-Day Saints arrived on the scene and were at first regarded by the local citizenry as little more than harmless fanatics. But more followed. They bought land, founded a settlement and a ferry crossing on Blue River, opened their own general store in Independence, and established the town's first newspaper. Some began speaking out against slavery. In little time, seen as a threat, they were decried as "the very dregs" of the East, vicious, immoral, and in education "little above the condition of our blacks." That they referred to the Indians across the border in Kansas Territory as their fellow tribes of Israel struck many hard-bitten old pioneers as close to insane. More ominous was their announced intention to become proprietors of the entire region. Joseph Smith, their prophet and leader, proclaimed Jackson County holy land and commanded that Independence become their City of Zion. By the summer of 1833, with the Saints in the county numbering more than a thousand, or roughly a third of the population, it appeared they might control the fall elections. A mass meeting was called at the courthouse. Angry speeches were made and a proclamation issued declaring Mormons no longer welcome. Violence quickly followed. A mob smashed the Mormon printing press, a Mormon bishop was tarred and feathered. On Halloween night armed riders, "without other warrant than their own judgment of the requirements of the situation," attacked the Mormon settlement on Blue River, driving women and children from their homes. Crops and barns went up in flame, men were dragged into the fields and flogged. Jackson County was in a state of "dreadful fermentation." In another clash three men were killed. When, on the night of November 12, the skies ignited in a spectacular meteor shower like none ever seen on the Missouri frontier, many took it as a sign to rid the land of Mormons once and for all. More than a thousand people were forced from their homes and driven across the Missouri River into less settled territory to the north, where their persecutions only grew worse, but with the difference now that they fought back. The governor of Missouri, an Independence storekeeper named Lilburn W. Boggs, called out the militia and declared that for the public good all Mormons must leave the state or be "exterminated." A religious war was under way, Missouri's first civil war, and ended only when the Mormons departed for Illinois in 1839. Such events were past history by the time Solomon Young and his small family arrived in 1841. Yet only a year later, in 1842, a lone assassin, a Mormon presumably, crept to a window in Independence and shot Lilburn W. Boggs, all but killing him. As favored by nature as the Blue River country may have been, it was no peaceable kingdom. It was a climate of great extremes, even in the span of a day. Temperatures could rise or drop 50 degrees in a matter of hours. Summers turned too dry or too wet and either way were nearly always broiling hot. The year 1844 brought the worst floods on record, followed by a tornado that tore up trees and fences and killed a number of people. But then no one came to the frontier expecting things to go easily, least of all a farmer. Solomon and Harriet Louisa Young made their start on a farm known as the Parrish place, not far from the Missouri River and well within the projected outlines of Kansas City. Then, shortly afterward, in 1844, possibly because of the flood, they made a first claim to public land on high ground back from the Blue River approximately sixteen miles south of Independence, near the settlement of Hickman's Mills, on what was called Blue Ridge. It was high, fertile, well-drained ground, ideal grazing country, good for corn and wheat, as high and fine as any land in the county, with distant views miles into Kansas Territory. This first Blue Ridge claim comprised just 80 acres, the minimum purchase required by the Land Act, and Solomon Young paid $1.25 an acre, the minimum price for public land. To gain title he was also obliged to occupy the land for a time, and consequently stories were passed down of how he and Harriet Louisa came there with "a gun and an axe and two babies and a blanket." Grandchildren would listen to Harriet Louisa tell how Solomon rode off to file his claim at the land office at Clinton, seventy miles distant, and describe the nights she spent in a shelter of fence rails and brush, alone with the two children, Susan Mary and William, who, if not exactly babies any longer, were still quite small. The family expanded and so did Solomon's holdings. Six more children were born -- Sarah Ann, Harrison, Elizabeth, Laura Jane, Martha Ellen, and Ada -- as ever larger parcels of land were acquired. A house and barn went up. Blue Ridge became the homeplace. Solomon's financial setbacks were frequent and might have crushed a less resilient spirit, but by reputation he was one of the best farmers and stockmen in the county and in the long run he prospered. He had an eye for horses, he knew mules, he knew land, and he bought and sold either at every opportunity. In time he established a trans-prairie freighting enterprise and amassed landholdings that, for Jackson County, amounted to a small empire. Indeed, by all accounts, Solomon Young was a remarkable man, and considerably more is known about him and Harriet Louisa than about Anderson or Mary Jane Truman. He was born in Shelby County, Kentucky, near the town of Simpsonville, in 1815, the year of Andrew Jackson's triumph at the Battle of New Orleans, which made him twenty-six when he came to Missouri. His father, Jacob Young, was a Revolutionary War veteran from North Carolina. His mother, Rachael Goodnight Young, died when he was twelve. When his father remarried and moved on, Solomon was left to fend for himself, earning his keep weighing hogs and trading livestock. Full grown he was tall, powerful, self-reliant, bounding with energy, and a world-beating talker. Talk was nourishment for Solomon, as it never was for Harriet Louisa. Unlike so many who came out from Kentucky, he was neither Scotch-Irish nor a Baptist, but of German descent (the name had been spelled Jung in North Carolina) and only a nominal Methodist. Skeptical of preachers or anyone who made too much show of religion, he liked to say that whenever he heard a man praying loudly, his first instinct was to go home and lock the smokehouse. Politics interested him not at all. Solomon had married Harriet Louisa Gregg in the second week of January 1838. She was Scotch-Irish, her people ardent members of Kentucky's first and largest Baptist congregation, the Long Run Baptist Church at Simpsonville, which had been built on land once owned by Abraham Lincoln's grandfather, Captain Abraham Lincoln. Her first child was born in 1839, her second two years following, the same spring she and Solomon started west, which means she must have been nursing the baby on the boat trip up the Missouri. Remembered for her imperturbable disposition, no less than her abundant red hair, Harriet Louisa was not known to have complained or lost heart then or at any time afterward, whatever happened. "She was a strong woman...and there wasn't a thing in the world that ever scared her," it would be said. Her last pregnancy was in 1856, but the baby did not survive. Nearly forty, she was well past middle age by the standards of the day, yet still short of midpoint in what was to be an extremely long, eventful life. Exactly when Solomon went west on the first of his wagon-train expeditions, leaving Harriet Louisa in charge of everything, is not clear. It is known only that he went several times prior to the Civil War, beginning as early perhaps as 1846, the momentous year of the Mexican War and the trek of the Mormons out of Illinois to the Great Salt Lake (not to mention the year of Anderson Truman's arrival in Independence). Such undertakings were epic in scale, in any event. The customary overland train was made up of forty to eighty giant canvas-covered freight wagons, each requiring six yoke of oxen or mules and two drivers. A single wagon and team stretched 90 to 100 feet. And since the practice under way was to keep the wagons about 100 feet apart, some trains would be strung across the prairie for as far as three miles. To keep his bearings, Solomon carried a brass telescope, like a sea captain. The goods hauled could be worth a fortune, $30,000 or more, and the profits, if all went as planned; could be correspondingly large. Solomon, who at census time now listed himself as a freighter, appears to have done quite well. In 1850, his recorded wealth was $5,000. Ten years later, he was worth ten times that. At age thirty-five he could count himself a wealthy man, with land and property valued at nearly $50,000. He is said to have owned as much as 5,000 acres, fancy, blooded horses, and there was real silver on the table. Because the Santa Fe Trail first headed south out of Independence, before swinging west across the Blue River, it passed within only a few miles of the Young farm. Solomon would depart in the spring. Large and full-bearded, wearing a wide-brimmed hat, he must have been something to see as he pushed off, as his family saw him and remembered him -- a man "who could do pretty much anything he set his mind to." Once, he started for California with a herd of fifteen hundred cattle. It took him a year and he lost five hundred cattle on the way, but he made it, through every kind of weather and hardship, across half the continent. At Sacramento he traded the surviving herd for a ranch of 40,000 acres. But this, as the story goes, he was forced to sell to cover the debts of a partner. A man made good on his debts, a man stood by his friends. And a world-beating talker had a tale to tell his children, and they theirs. The wagons were coupled together in pairs [noted the August 16, 1860, edition of the Deseret News], one behind the other, each pair having on board about sixty hundred pounds and drawn by six pairs of oxen....Mr. Young is of the opinion that the couple of two wagons together in that manner is the most economical way of freighting to this Territory....Mr. Young's cattle look remarkably well, and, as we are informed, he did not lose a single ox by accident or otherwise during the trip. When the officer in charge at Salt Lake refused for some reason to receive the goods, Solomon met with Brigham Young, who, though no relation, was a fellow Mason and agreed to take the whole shipment if Solomon would extend him credit. The bargain worked out to the satisfaction of both. Meantime, Solomon also did a thriving trade in outfitting and advising emigrants bound for Oregon or Santa Fe, who now, every year, numbered in the thousands. But by 1849 and 1850, the years of the California Gold Rush and the greatest traffic through Independence, the little town's time in the sun was nearly over. For the same human tide brought virulent cholera. In the spring of 1849 ten people died at the Noland House within a single day. In 1851 cholera struck again. In 1854, with no rain from June to November, crops failed all over the county. Scarlet fever, pneumonia, and cholera were epidemic the next several years. In the spring of 1857 the Youngs themselves lost a child, nine-year-old Elizabeth, who died of causes unrecorded. And all the while across the line in Kansas, the old issue of slavery was building to a terrible storm that was to affect the lives and outlook of nearly everyone in Jackson County for a very long time to come. To many in western Missouri the Civil War commenced not in 1861 with the attack on Fort Sumter in South Carolina, but in 1854, when Congress passed the fateful Kansas-Nebraska Act, leaving to the residents of the territories of Kansas and Nebraska the decision of whether to allow slavery. Missouri had.come into the Union as a slave state following the famous Missouri Compromise of 1820-21, another congressional inspiration that admitted Maine, a free state, at the same time and prohibited slavery north of Missouri's southern border, latitude 36°30'. Now the old Missouri Compromise line was gone. The new bill, designed to ease tension, had exactly the opposite effect. What compounded the problem was the disproportionate size of the slave population along Missouri's western border -- where possibly fifty thousand slaves were held, which was nearly half the slaves in all Missouri. In Jackson County alone there were more than three thousand, and their owners, whatever their feeling for the Union, dreaded the prospect of free territory so close, to which a slave might escape, or from which could come armed bands of slave liberators. For the owner, his slave was very often his most valuable possession, in addition to being vital to his livelihood, and as the chances of war increased, the monetary value of every slave increased steadily, to the point where a male in good health was worth $3,000, as much as 500 acres of prime land. Elsewhere in the nation Kansas was seen as the issue that would settle things. "Come on then, gentlemen of the Slave States," said Senator William H. Seward of New York in a speech in Washington, "...We will engage in competition for the virgin soil of Kansas, and God give the victory to the side that is stronger in numbers as it is in right." As if in answer, several thousand pro-slavery Missourians -- "enough to kill every God-damned abolitionist in the Territory," as one of their leaders expressed it -- stormed over the border with guns and whiskey to help Kansas elect a pro-slavery legislature. In response, more Free-Soilers poured in from the East, a new kind of emigrant traffic from which struggling little Kansas City began to benefit. When armed pro-slavery ruffians, later to be known as "bushwhackers," tried to close passage on the Missouri by terrorizing the riverboats, the Free-Soilers merely crossed overland through Iowa. Time obviously was running out. On May 22, 1856, hard-riding Missouri "Border Ruffians" shot up the town of Lawrence, Kansas, an abolitionist stronghold. Two days afterward, a strange, wild-looking old man named John Brown, a new Kansas settler, decided the moment had come to "regulate matters." Armed with broadswords honed to razor sharpness, Brown and his sons descended after dark on three isolated cabins on little Pottawatomie Creek. There they took five pro-slavery Kansas men and boys, none of whom had anything to do with the raid on Lawrence, and chopped them to pieces -- "as declared by Almighty God," said John Brown. No sooner had the Free-Soilers gained control in Kansas in the next round of elections than Kansas riders came charging over the line into Missouri to take their turn at murder and arson. For years before the Civil War began in the East, this terrible Border War -- civil war in every dreadful sense of the term -- raged all up and down the Missouri-Kansas line and continued until the surrender at Appomattox. It was like some horrible chapter out of the Middle Ages, with gangs of brigand horsemen roaming the land. They could appear out of nowhere any time, led often by men who were no better than young thugs, some possibly deranged, like the bantam-sized "Doc" Jennison, whose outlaw Kansans were called Jayhawkers or Red Legs (for their red leather leggings), or the Missouri guerrilla "Bloody Bill" Anderson, who liked to mutilate his victims. It was a war of plunder, ambush, and unceasing revenge. Nobody was safe. Defenseless towns were burned. Osceola, Missouri, and Shawneetown, Kansas, were all but wiped from the map. Neither then nor later did the rest of the country realize the extent of the horrors. Nor was it ever generally understood that most Missourians remained loyal to the Union -- including slaveholders like Solomon Young and Anderson Truman -- or that most Missourians bore no resemblance to the infamous bushwhackers. The popular picture of all western Missourians as gun-slinging, whiskey-swilling riffraff was grossly inaccurate -- as inaccurate as the idea that every Kansan was a transplanted, upright New England abolitionist. Atrocities were committed on both sides, and it was innocent civilians who suffered most. As one Kansan later said, "The Devil came to the border, liked it, and decided to stay awhile." Jackson County became "the burnt country." Judge Henry Younger of Lee's Summit saw his farm destroyed during Jayhawker "Doc" Jennison's first sweep through the county, and Judge Younger was a Union man. Later, he was brutally murdered, which led his hot-blooded son Coleman, or Cole, to join up with the celebrated Missouri guerrilla chief, William Quantrill. A Jackson County physician named Lee was gunned down in cold blood because his sons had joined the Confederate Army. John Hagan, a farmer, was stopped by Union cavalry while out for a Sunday drive with his family. Ordered to get down from the wagon, he was led into the woods and shot through the head for no known reason. Christopher Mann, the prolific old Kentucky pioneer who had the ability of holding his breath for a minute and a half, was made to stand by at gunpoint and watch his farm burned by Missouri guerrillas. "They asked me if I was not a black abolitionist, and when I told them, 'I am a Union man, sir!' one of the bushwackers struck me with his revolver and broke out two of my teeth." A first battle of Independence was fought before dawn the morning of August 11, 1862, when Quantrill and his ragtag band came screaming into the Square and a uniformed Confederate force overran a sleeping Union camp. In a second battle two years later, another Confederate victory, fierce block-to-block fighting raged back and forth across town for two days. The worst atrocity, the unpardonable Lawrence Massacre, was committed by Quantrill, a brave, ingenious, wretched man who was continuously in and out of Jackson County, hiding in the heavy brush of the winding Blue River bottoms. To most slaveholders Quantrill was a hero and in memory, in after years in Jackson County, he would acquire a romantic glow, an aura like that of no other figure of the war, as if he had been the very soul of Old South gallantry in service of the Cause. In reality, he came from Ohio. Nor had he ever shown any southern sympathies or convictions, until the killing began. At first light the morning of August 21, 1863, with a force of nearly 500 men riding under a black silk flag, Quantrill struck Lawrence, Kansas. Most of the town was still asleep. His orders were to kill every man big enough to carry a gun and to burn the town. When it was over, at least 150 men and boys had been murdered. The day was clear and still and smoke from the inferno, rising in tremendous black columns, could be seen from miles away. Like many others in Jackson County, Solomon and Harriet Louisa had a personal tie to the bushwackers. Their third child, Sarah Ann, had married a man named James J. Chiles, a highly unsavory character known as Jim Crow Chiles. He was the dark side of frontier life, a future skeleton for the Young-Truman family closet. Jim Crow, whose nickname was said to have been bestowed in boyhood for his exuberant performance of a popular dance called the "Jim Crow Set," belonged to one of the original pioneer families in the county, and large landholders, which initially stood him well with the Youngs. But in 1857, Jim Crow had killed a man in the bar at the Noland House, a stranger who had done no more than remark on his table manners. (Another man who traveled with Jim Crow to Santa Fe shortly afterward remembered him as often good-natured, even jovial, "but subject to violent fits of anger, and when angry, a very dangerous man.") Tried for murder at the Independence Courthouse in 1859, he got off, the standing of the Chiles family weighing heavily in the jury's decision, and it was almost immediately afterward that he and Sarah Ann, or Sallie, were married. She was sixteen. Jim Crow, a "dashing fellow," was notable for his dark eyes and "powerful, symmetrical build." At the onset of the war, Jim Crow took off with Quantrill and Bloody Bill Anderson, and quickly demonstrated that like them he enjoyed killing, "always exhibiting the traits of the most inhuman savage," as a Kansas City paper would write at the time of his death. He was an active participant, for example, in the capture of Union Captain Daniel H. David on the Little Blue, when Captain David and his men were hacked to death John Brown style. In this pitiless onrush of history, the Youngs, too, were caught in the middle no less than anyone along the border, and their stories of what happened, of all that was taken and destroyed, would be told repeatedly, some events merging in memory with others as time passed, some details being dropped or made a touch more vivid than the truth perhaps, depending on who was telling the story to whom and when. Whether, for example, the fanatical "Grim Chieftain of Kansas," Jim Lane, struck the Young farm the summer of 1861, two years before the Lawrence Massacre, as Lane headed through Missouri to burn Osceola, or whether it was earlier, just after the war officially began in the spring of 1861, is a matter of some confusion. But there is no doubt that he came or that Solomon was somewhere far afield on one of his expeditions. (Solomon may have reasoned that since he was an avowed Union man his family would be safe.) Will Young, the oldest son, was also absent -- Will had joined the Confederate Army -- which left Harriet Louisa alone with the children. In a theater of war characterized by strange, terrifying human apparitions, James Henry Lane may have been the strangest, most terrifying of all. Tall, gaunt, always wildly disheveled even in uniform, he had a sallow hatchet face, atrociously bad teeth, and a voice with a raspy, unearthly sound. He was also a brilliant orator and a rampant political opportunist. As an overnight, fire-eating Republican he had been elected as one of the first two senators from the new state of Kansas. Arriving in Washington on the eve of the war, he organized a Frontier Guard to protect Abraham Lincoln and for a few nights he and his men actually bivouacked in the East Room of the Executive Mansion. In Missouri he was known as a "freedom" soldier, meaning he would free you of anything he could lay his hands on -- food, forage, money, silk dresses, the family silver, even a piano on occasion. Everybody knew about Jim Lane. He was as feared and reviled on the Missouri side of the-tine as was Quantrill in Kansas. For Harriet Louisa there could have been no mistaking who it was in Union blue riding up the road. Lane and his Kansans proceeded to shoot four hundred Hampshire hogs, then cut out only the hams, leaving the rest to rot. Harriet Louisa was ordered to bake biscuits, which she did "until her hands blistered." Some of the soldiers passed the time playing cards in the yard, sitting in the mud on her best hand-sewn quilt. Others, "out of sheer cussedness," blasted away at her hens. Whether Lane knew of the family's connection to Jim Crow Chiles or the fact that Will Young had joined the Confederates is not known. But, to determine the whereabouts of Solomon Young, the Kansans took the "man of the place," fifteen-year-old Harrison, looped a rope about his neck, threw the other end over a tree, and said they would hang him if he didn't tell where his father was hiding. Harrison, according to the story, told the truth, saying Solomon had gone west with a wagon train. They tightened the rope, "stretching his neck," and asked - again. Harrison answered as before. Then, suddenly, bored with their game, the men let him go. Hay barns were set ablaze. Lane and the rest rode off, taking the hams, biscuits, feather beds, and the family silver. According to Harriet Louisa's formal claim, however, it was a Colonel Burris, not Lane, who made off with 1,200 pounds of bacon in October of 1862, as well as 65 tons of hay, 500 bushels of corn, 44 head of hogs, 2 horses (one with bridle and saddle), 1 "lot of beds and bedding," 7 wagons, and 30,000 fence rails. A General Sturgis was also responsible for taking 150 head of cattle and a Captain Axaline for 13,000 fence rails, 1,000 bushels of corn, and 6,000 "rations." The total value of everything confiscated came to $21,442, the equivalent in present-day money of a quarter of a million dollars. Interestingly, no family silver is listed. Nor is there any reference to buildings destroyed. Yet the theft of the family silver by Old Jim Lane would be talked of repeatedly in after years, and Martha Ellen Young, who was nine at the time, would one day describe for a New York Times writer how she and her mother, their faces blackened with the soot and ash that rained down from the burning barns, stood in the yard watching the hated blue soldiers ride away. Though possibly no silver ever was taken, certainly it might have been, and if no buildings were actually destroyed on the Young farm, the little girl may well have been witness to other farms going up in flames m' "the burnt country." The resulting hatred was the same in any event. The stories were what mattered as they were passed along, not the formal claim. From such times and memories, as was said, a family "got solid" in its feelings. But nothing that happened in western Missouri during the course of the war left such a legacy, of bitterness as the infamous Union measure known as General Order No. 11. Estimating that two thirds of the outlying Missouri populace were either "kin to the guerrillas" (like the Youngs) or "actively and heartily engaged in feeding, clothing, and sustaining them" (like the Slaughter family, near neighbors of the Youngs on Blue Ridge), the Union commander at Kansas City, Brigadier General Thomas Ewing, decided to deny the guerrillas their base of supply by depopulating the entire area. The order was issued August 25, 1863. All civilians in Jackson, Cass, and Bates counties, except those living within a mile of Union posts at Kansas City, Independence, Hickman's Mills, Pleasant Hill, and Harrisonville, were to "remove from their present places of residence" within fifteen days. If they could prove their loyalty to the Union to the satisfaction of the post commander, they could remain in those towns or cross over into Kansas. If not, they must leave Missouri. All grain and hay found in the district after the deadline was to be destroyed. Twenty thousand people were driven from their homes. The country was depopulated in a matter of weeks, as Union cavalry helped themselves to whatever of value was left behind, then put a torch to buildings and crops. "It is heartsickening to see what I have seen," wrote a Union officer to his wife. "...A desolated country and men and women and children, some of them almost naked. Some on foot and some in old wagons. Oh God." Another Union officer appalled by the suffering he witnessed firsthand was the artist George Caleb Bingham, whose outrage would take form after the war, when, settling in Independence, he painted Order No. 11, in which General Ewing himself would be seen driving a family from their home. At the Young farm, the policy appears to have been carried out to the letter, despite the fact that Solomon had signed a loyalty oath more than a year before. The family was permitted to take away one wag of possessions. Little Martha Ellen would remember trudging northward on a hot, dusty road behind the swaying wagon, headed for "bitter exile" in Kansas City. Anderson Truman, meantime, had fared far better. He too had signed a loyalty oath. He wanted only "the Union as it was," like the rest of the Trumans back in Kentucky. ("I hope you have not turned against this glorious Union," wrote his brother John Truman from Shelby County, where, as in Missouri, families and neighbors were sharply divided.) But earlier Anderson and his family had moved across the Missouri to Platte County, which, close as it was, the war hardly touched. An increasingly religious man, he wished no part in violence, He hated Catholics, but little else apparently, and he kept to his land and labors, living simply and almost without incident. Once, after dark, the slave Hannah heard screams and a commotion of horses at the adjoining farm. Everyone assumed the Red Legs had arrived and Grandmother Holmes, then in her eighties, fled with the youngest Truman children to hide in a cornfield. The Red Legs proved to be a detachment of Confederate cavalry who had come to press a neighbor's sons into service. This was as close as the war ever came to the Trumans. The children numbered five, three girls, Margaret, Emma, and Mary, and two boys, William and John, neither of whom was old enough to fight in the war. When it was all over in April 1865, Anderson loaded his five slaves -- Hannah, Marge, and their three daughters -- into a big farm wagon with a month's supply of food and drove them to Leavenworth, Kansas, the place they had chosen to begin their freedom. When he returned to Leavenworth some years later to learn what had become of them, nobody knew. "They never bought one, they never sold one," a keeper of the family annals would later conclude, speaking somewhat defensively of the Anderson Trumans and their slaves. The wounds of nearly nine years of war in Missouri were a long time healing. While most veterans of the defeated Confederate Army took up life as best they could, married, and settled down, others found it impossible to return to anything like the old ways. Cole Younger turned desperado and with his brothers joined forces with two more who had fought with Quantrill, Frank and Jesse James. The gang held up its first bank on the main square of little Liberty, Missouri, about ten miles from Independence as the crow flies, in February 1866. Later they hit upon the novel idea of robbing trains. Closer to home was the case of Jim Crow Chiles, who for years conducted his own one-man reign of terror, using a notorious gambling hall in Kansas City called Headquarters as a base of operations. Having made himself leader of the toughest element in that now wide-open town, he swaggered about armed with two heavy dragoon revolvers, two pocket Derringers, and a black snake whip that became his trademark. His home was in Independence, where he owned a livery stable and kept a pack of bloodhounds that bayed half the night, but that nobody ever dared complain about. He was "universally hated," the kind of town bully who figured in children's nightmares. To black people he was a living terror. On drinking sprees, he would mount a horse and hunt them down with his whip. It is recorded that he killed two black men in cold blood on two different occasions in Independence, shot them "to see them jump." Reportedly, he had killed nine men altogether and was under indictment for three murders by the time a deputy marshal named James Peacock decided to stand up to him as no one ever had. Both men were heavily armed and both accompanied by a young son, also armed, the morning of the confrontation on the west side of the courthouse square. September 21, 1873, was a Sunday and a number of people on hand witnessed everything. Advancing on Peacock, Jim Crow challenged him to fight, then hit him in the face. Peacock struck back and at once they tore into each other with fists and pistols, pellmell in the dust of the street, the two boys plunging in. Jim Crow's son, Elijah, had eyesight so poor he was nearly blind, yet he never hesitated. Shots were fired. Jim Crow was hit in the shoulder, Peacock in the back. Elijah, too, was hit. Then Peacock fired point blank into Jim Crow's face, killing him instantly. Jim Crow's body was carried to the Noland House, to the same bar-room where he had killed his first man. The boy Elijah died the next night. Peacock, however, survived, a bullet lodged in his spine, and as the sheriff who killed Jim Crow Chiles, he became a county legend and unbeatable at election time, the Chiles family, meanwhile, having publicly exonerated him from any blame. For the Youngs, as for the Chileses, it was a tragedy of terrible proportions and one they refused to discuss, then or later, though it is said Solomon Young cursed his daughter Sallie and that Martha Ellen, her father's pet, burned a portrait of Jim Crow. Sallie, a widow at thirty, was expecting another child. Her son Elijah had been all of thirteen. For Martha Ellen Young -- Matt or Mattie, as she was known -- life had picked up again three years after the war, in 1868, the year she turned seventeen and the family resettled on Blue Ridge in a new, more spacious house. Harriet Louisa had chosen the spot. The new house faced west at the end of a straight quarter-mile drive lined with double rows of elm trees that Mattie helped her father plant. The house, wood frame and painted white with green shutters, had a wide front veranda and two large square front parlors off a central hall. Dining room and kitchen were in a wing to the rear, this enclosed by more porches. Beyond, to the rear, past the orchard, stood a huge red barn built entirely of heavy walnut planks and beams taken from the old, original mill at Hickman's Mills. The immediate farm comprised 600 acres, with fields bound by squarely built limestone walls -- rock fences, as they were known. Whatever his losses from the war, Solomon appears to have taken hold again. Matt had her pick of several fine saddle horses and would spend some of the happiest days of her life riding sidesaddle over the high, open land. If she never learned to milk a cow, her father advised, she would never have to milk a cow. So she never learned. She did learn to bake and sew and to use a rifle as well as a man. If she swept the veranda, she made the broom fly. "Lively" is the adjective that turns up in old correspondence to describe Mattie Young. Presently, she was sent away to the Lexington Baptist Female College, in sedate, tree-shaded Lexington, Missouri, where for two years she learned to sketch, play the piano, and acquired a lifelong love of books and the poetry of Alexander Pope. Of above average height -- about 5 foot 6 -- she was a slender young woman with dark hair, a round bright face, and a way of looking directly at people with her clear, gray-blue eyes. Like her father, whom she adored, she was inclined also to speak her mind. Life on the farm, meantime, had returned to the old rhythms of seasons and crops and work. Talk at the dinner table was of hog prices and taxes; of the Mormons who had begun returning to the county from Utah, convinced still that Independence was their City of Zion; and of the new Hannibal Bridge at Kansas City, the first railroad bridge over the Missouri, which promised to change everything. Kansas City was growing beyond anyone's dreams. The bridge was finished in 1869, the year of the opening of the transcontinental railroad. By 1872, just three years later, there were seven railroad lines in and out of Kansas City. The days of steamboats and wagon trains were all but vanished. Missouri -- "Muzoorah," as one was supposed to pronounce it -- was no longer the Far West, but the Great Center of the country. In the summer of 1874 grasshoppers came in black clouds that shut out the sky. When they were gone, the land was as bare as if scorched by fire. The following year they came again, as if to mock the progress people talked about. The social occasions Mattie Young loved best were the dances at home in the front parlors, or at neighboring farms. She was a spirited dancer, a "light-foot Baptist." One winter, after a blizzard, there was a dance every night for a week. Neighbors would dance most of the night, then spend the following day riding in big box sleighs cross-country to the next house. Possibly it was on such a night that she first met John Truman, who since the end of the war had returned with his family to Jackson County and taken up farming nearby. In any event, they seem to have known one another for some while before announcing their plans to marry in 1881, by which time Mattie was twenty-nine. John Anderson Truman, who was a year older, had had no education beyond a rural school, and except for the night during the war when he fled with Grandmother Holmes into the cornfield, he had had no known adventures. Nor had he any special skills or money. None of the Trumans had ever had money. Still he was ambitious -- he aspired to be a stock trader like Solomon Young -- and he was a hard worker, cheerful, eager to please. He loved to sing while Mattie played the piano. He also had a violent temper, though thus far this had landed him in no trouble. Overall he made a good impression. In a thick new History of Jackson County, Missouri published the year he and Matt were married, it was said of John A. Truman that "he resides with his father and manages the farm; he is an industrious and energetic young man, and one that bids fair to make a success in life." His mother, Mary Jane Truman, had died two years before in 1879. The indomitable Nancy Tyler Holmes was also in her grave by this time, having lived to age ninety-four. Appearances would always matter greatly to John Truman. For his wedding photograph taken in Kansas City, he wore a white string tie, kid gloves, and a black frock coat. His boots were gleaming, his thin reddish-brown hair clipped and plastered to perfection. He also chose to be seated for the picture, it is said, because he was sensitive about his height. At 5 foot 4, he was two inches shorter than Mattie. She stood beside him in brocaded satins and a wide lace collar, her hair parted in the middle and brushed smoothly back, in the current fashion, her left hand resting on his shoulder, her eyes, like his, directly on the camera. As a wedding gift, Solomon gave her a three-drawer burl walnut dresser, with a marble top and a mirror with small, side shelves. She was never to own another piece of furniture quite so fine. The ceremony took place at the homeplace three days after Christmas, December 28, 1881. The couple's own first home was in Lamar, Missouri, a dusty, wind-blown market town and county seat (Barton County), ninety miles due south. For $685 John became the proud owner of a corner lot and a white frame house measuring all of 20 by 28 feet, which was hardly more than the dimensions of the Youngs' kitchen. It had six tiny rooms, no basement, no running water, and no plumbing. But it was new, snug and sunny, with a casement window in the parlor on the southern side. Mules bought and sold. I will keep for sale at the White Barn on Kentucky Avenue a lot of good mules. Anyone wanting teams will do well to call on J. A. Truman. A spinster sister, Mary Martha Truman, who, like John's father, came for an extended stay, considered Lamar the end of the world. The place made her miserable, yet Mattie, she observed, remained "lively as ever." Mattie's first child, a boy, was stillborn the couple's first autumn in Lamar. A year and a half later a second child, a boy, was born in a bedroom off the parlor so small there was barely space for the bed. The attending physician, Dr. W. L. Griffin, received a fee of $15, and to celebrate the occasion the new father planted a seedling pine in the front yard. A story that John Truman also nailed a mule shoe over the front door for luck is apocryphal. Two days later, a Baptist circuit rider took the baby out into the spring air, and holding him up in the sunshine, remarked what a sturdy boy he was. Not for a month afterward, however, did Dr. Griffin bother to register the birth at the county clerk's office up the street, and even then, the child was entered nameless. In a quandary over a middle name, Mattie and John were undecided whether to honor her father or his. In the end they compromised with the letter S. It could be taken to stand for Solomon or Shipp, but actually stood for nothing, a practice not unknown among the Scotch-Irish, even for first names. The baby's first name was Harry, after his Uncle Harrison. The child would have no memory of Lamar or the house where he was born, for shortly afterward John Truman sold out and moved everybody north again, to a farm near Harrisonville, only seven miles from the Young place. The earliest written description of Harry Truman is in a letter from Harrisonville dated April 7, 1885, when he was still less than a year old. "Baby is real sick now," wrote John's sister Mary Martha, "he is so cross we can't do anything." The mule business at Lamar had been disappointing. And so, apparently, was the Harrisonville farm, for the Trumans remained there even less time, only two years, during which a second son was born, John Vivian Truman -- named for his father and a popular Confederate cavalry officer, John Vivian -- who was to be known henceforth as Vivian. Of these Harrisonville years little Harry would remember just two incidents. His earliest memory, interestingly, was of laughter. He was chasing a frog around the yard, laughing every time it jumped. To Grandmother Young, who had observed so many children, so splendid a sense of humor in a two-year-old was quite remarkable. The second memory was of his mother, for fun, dropping him from an upstairs window into the outstretched arms of his very large Uncle Harry, who was to be a particular favorite from then on. Solomon Young, by now in his seventies and among the most respected men in the county, was still fit and active. It seemed nothing could touch, him, not wars or epidemics or advancing years. But in 1887, the John Truman family moved back to the Young farm and John became Solomon's partner. To what extent John's two false starts influenced the decision, or how much say Mattie had, can only be imagined. Thus it was to be the Young homeplace where small Harry S. Truman made most of his earliest observations of the world, beginning at age three. Grandfather Anderson Truman also moved in -- he was given a room of his own upstairs -- and a place was found for one of the fatherless Chiles grandchildren, Cousin Sol. Counting everybody -- Harrison, who remained a bachelor, sister Ada, a hired girl, several hired hands, and nearly always a visiting relative or stray neighbor child -- this made a household of seldom less than fourteen or fifteen people spanning three generations, all under one roof on the same Blue Ridge where Solomon and Harriet Louisa had made their claim so many years before. "Meticulously detailed, elegantly written, tightly constructed, rich in revealing anecdotes and penetrating insights. It is, as its subject demands, biography on the grand scale." "A warm, affectionate and thoroughly captivating biography....the most thorough account of Truman's life yet to appear. " "McCullough's marvelous feel for history is based on an appreciation of colorful tales and an insight into personalities. 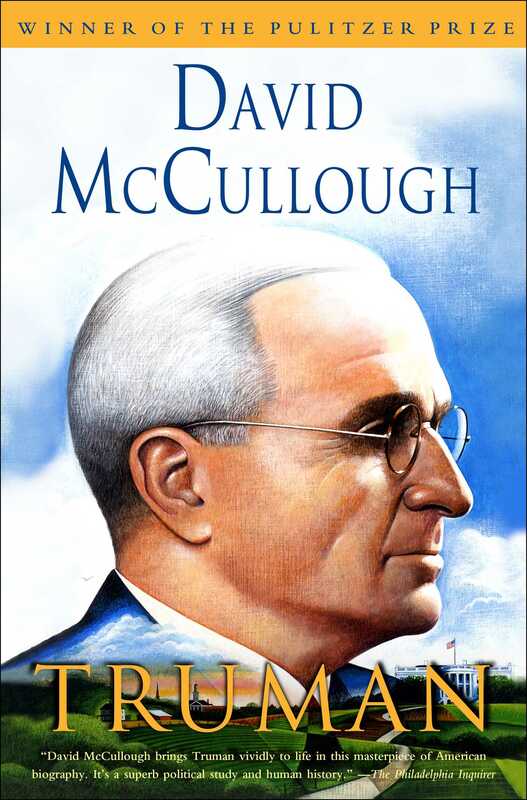 In this compelling saga of America's greatest common-man president, McCullough adds luster to an old-fashioned historical approach...the sweeping narrative, filled with telling details and an appreciation of the role individuals play in, shaping the world." "Remarkable....you may open it at any point and instantly become fascinated, so easy, lucid, and energetic is the narrative and so absorbing the sequence of events." 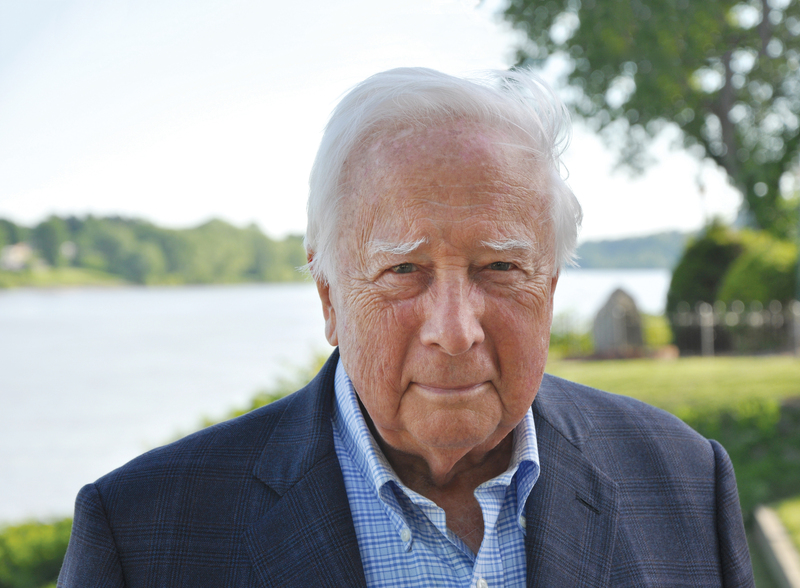 "McCullough is a master storyteller whose considerable narrative skills have been put to exquisite use in re-creating the life and times of America's 33rd president."